The benchmark indices ended on a flat note on Tuesday. The S&P BSE Sensex ended at 36,617, up 34 points or 0.09 per cent, while the broader Nifty50 index settled at 10,934, up 22 points or 0.20 per cent. 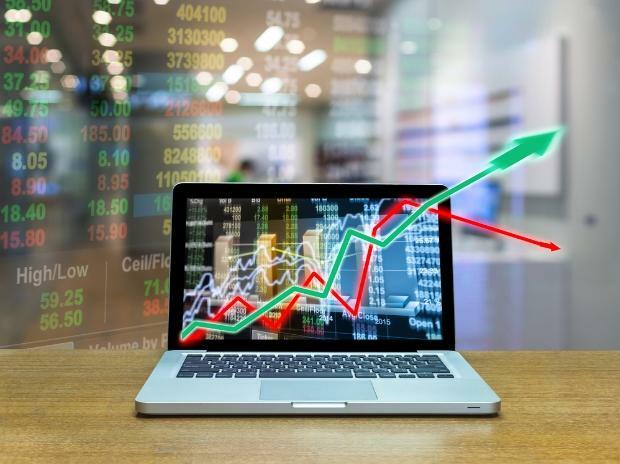 Among sectoral indices, the Nifty Auto index was among the top gainer of the day which settled 0.87 per cent higher led by gains in Hero MotoCorp, Bajaj Auto and Maruti Suzuki. In the broader market, S&P BSE MidCap index ended 79 points or 0.54 per cent lower at 14,442, while S&P BSE SmallCap index settled at 13,662, down 126 points or 0.9 per cent. Shares of Punjab National Bank (PNB) settled at Rs 73.45, up 0.41 per cent on the BSE after the public sector lender reported a 7.12 per cent year-on-year (y-o-y) rise in its net profit at Rs 246.51 crore for December quarter of financial year 2018-18 (FY19). It had posted a profit of Rs 230.11 crore in corresponding period last fiscal. Shares of Jubilant FoodWorks, the operator of Dominos Pizza chain in India, ended at Rs 1,305, down 6.33 per cent on the BSE after the company was found guilty of not passing on Goods and Services Tax (GST)-cut benefits amounting to Rs 41.42 crore on sale of some pizza products. It has been directed to deposit the illegal gains with the government. Asian stocks extended gains on Tuesday as overnight strength on Wall Street and the Federal Reserve's cautious turn underpinned appetite for riskier assets, while the dollar held firm on last week's upbeat US data. MSCI's broadest index of Asia-Pacific shares outside Japan advanced 0.5 per cent and hovered near its four-month high marked on Friday. Japan's Nikkei average marked its highest level in seven weeks at one point but finished the day down 0.2 per cent.